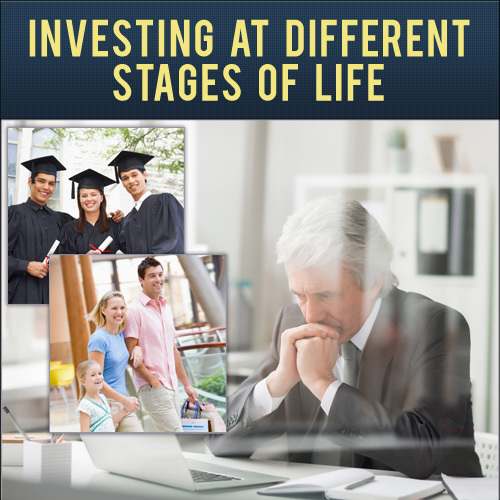 If you read about finance or investing on the internet, you’ve no doubt heard that the younger generation is having problems. 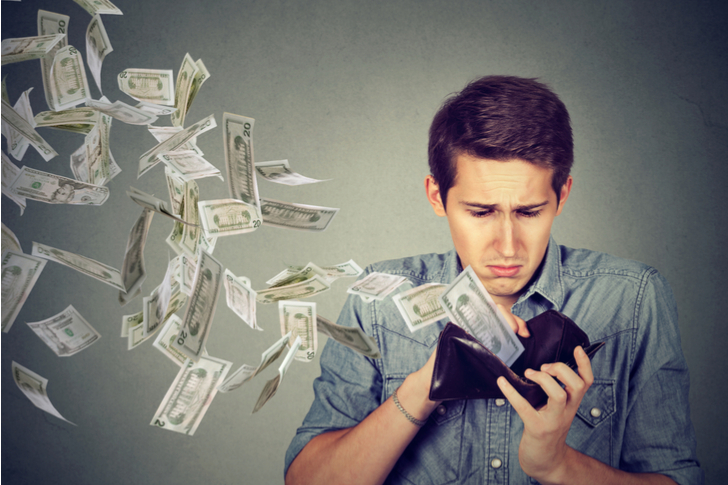 Between low wages, crippling student loans, rising housing costs and heavy spending on travel and experiences, the media portrays the millennial generation as being in a desperate financial crunch. And it is true that young adults that started working following the financial crisis do face both a higher cost of living and — until quite recently — a dour job market. As a result, millennials are also falling behind in the stock market. But you don’t need to. Investing isn’t just for the rich. There are plenty of options for low-cost investing. But it can be intimidating. On the internet we also see many condescending articles about how much money people “should” have saved or invested by a certain age. These articles seem to come from the perspective that everyone has access to a high-paying job and isn’t weighed down with numerous legitimate financial obligations. To be certain, there’s a middle ground. Of course, some millennials do make bad decisions about money. But the educational system in general doesn’t do much to promote financial literacy. However, regardless of how far along you may be in your financial journey, there are some general truths about budgets, saving, and low-cost investing that can help you ensure that you reach your own retirement goals. Here are some things that younger investors with a limited budget should do as you plan your investing strategy. It’s no secret that Americans like using their credit cards. The American consumer has developed a reputation for spending excessively. This, in turn, has led to a rather Puritanical backlash against any and all debt, with personal finance preachers like Dave Ramsey taking an almost uniformly negative stance on the topic. And sure, all things considered, it’s preferable to be debt-free. But there’s a lot more nuance to the situation than simply treating debt as the devil. So much depends on interest rates. Investments in the future, such as debt for a mortgage, college degree or small business often makes a ton of sense. Depending on the interest rate, there’s often no reason to view this debt as a life-crippling “emergency” as Ramsey and his ilk are prone to doing. Look at it this way: the American stock market tends to return 8-9% annually. There is a ton of fluctuation, but when you buy and hold for the long haul, that’s a reasonable expectation of your returns. Most mortgages and a good chunk of student loans are well below that interest rate. 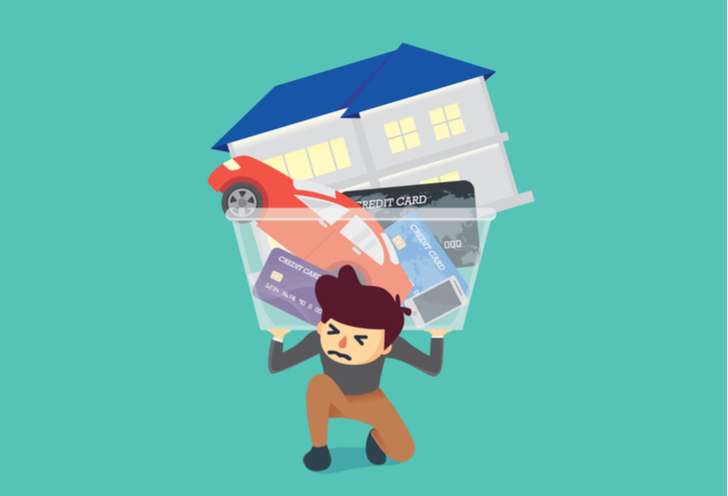 Throw in tax considerations, and there’s often a sound case for investing and paying off debt at the same time, rather than funneling all this money into paying off debt as quickly as possible. This isn’t to say that maintaining credit card and other high-interest debt is a great idea. However, the idea that you need to pay off all your debt before you start investing is an error. Especially when you’re looking at a more low-cost investing strategy that takes these debts into consideration. In the past, American companies took care of their workers in retirement with defined-benefit pension plans. Work for the company for a certain number of years, and you’d be guaranteed a set annual payment plus an inflation adjustment in retirement. As the American economy has modernized, however, these programs have largely fallen by the wayside. Nowadays, we have 401k plans and other such programs in their place. Many employees view 401k plans as something complicated for rich people to use. That’s a dangerous attitude. These new employee-contribution retirement programs replace the old pension system. As such, foregoing them leaves a future retiree on much shakier footing than previous generations of workers. While companies aren’t as generous as in the past, most still help their employees to a certain extent. A major mechanism that they use is the employee match — which is a great tool for those interested in low-cost investing. When you put up to a certain amount of money in your 401k, your employer will match part or all of your contribution. This is the closest thing that you’ll get to free money in investing. Use the 401k-match program, because when your employer offers an extra stipend and you don’t use it, you lose it. Generally, even people with substantial debt loads should try to maximize their 401k contributions up to the employer maximum matching benefit. If not you’re just leaving money on the table. And when you’re investing on a budget, every little bit counts. Similarly, to not taking full advantage of an employer match, people worried about investing on a budget leave money on the table by not considering the impact of taxes. Often, well-timed contributions to 401ks and IRAs can substantially cut your federal tax burden. Money that goes into your 401k is withdrawn from your paycheck before your tax burden is calculated. So not only are you putting more money into the market, you’re lowering the amount of your income being taxed. And money that you don’t pay to Washington today is effectively an increase in your income. Again, I get frustrated with the pay-off-all-your-debt-as-fast-as-possible crowd. Using strategic contributions to offset your tax burden today is one of the easiest financial decisions there is. You shouldn’t be forgoing tax-free retirement investments in order to pay your debt down a bit faster. Consider the following: Money that compounds at 8% per year will double in value roughly every nine years. So, for someone that is 30 today, achieving median 8% market returns over 36 years until retiring at age 66 would see their money double four times. 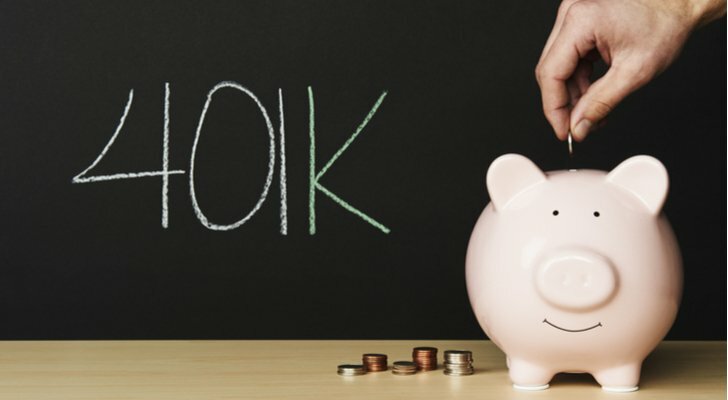 Thus, if a 30-year-old can save $2,500 in taxes by using retirement accounts to minimize their tax bill today, that could be worth $40,000 at retirement. Multiply that effect across years of intelligent tax planning, and the numbers start getting large rather quickly. No. I’m not going to tell you that your financial woes will be over if you just skip your morning coffee. The media loves making stories about how small expenses are destroying young people’s ability to save for retirement. Remember the craze last year about how avocado toast was a major culprit in millenials’ financial issues? And when discussing personal finance, folks are always quick to blame the Starbucks (NASDAQ:SBUX) latte and other such small expenses as the reason why people aren’t rich. And yet, if you do the math, these expenses are generally not a major chunk of the overall pie. For most younger folks three expenses will make up the majority of your spending: food, transportation, and housing. If your employer doesn’t cover health care, that can also be a major one. But in general, focus on making smart decisions in those three areas, and the benefits will give you plenty of wiggle room for the rest of your budget and low-cost investing plans. Everyone’s situation is different, however, common moves such as cooking at home more frequently, getting a more fuel-efficient vehicle, or sharing a living arrangement with a roommate can deliver major cost savings that more than make up for penny-pinching elsewhere. 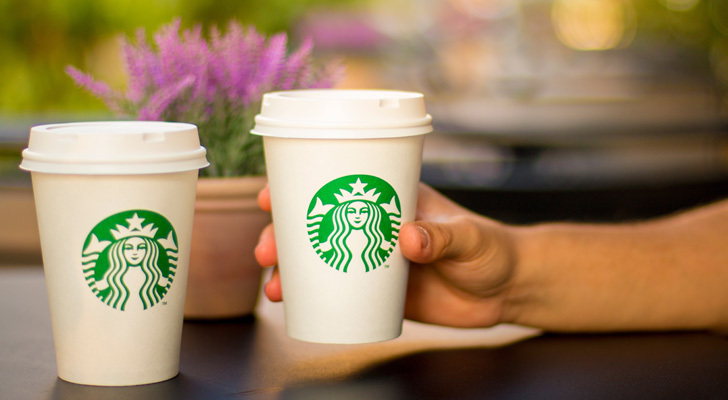 Consider this extreme example: If you spent $5 on Starbucks 5 days a week, 52 weeks a year, that comes to $1300 a year. Not a small chunk of change for many people. But very few people have coffee habits this pricey. Almost everyone pays rent or housing costs. The average rent for a 1-bedroom apartment in New York City is $2106 a month. The average rent for a 2-bedroom is $2509. If you can get a roommate to split that in half with you, you’re saving $851 a month. Or $10,212 a year. Remember that human willpower has a limit; use it on the stuff that matters. You don’t need to forgo small luxuries if you can save big in more costly areas. There’s an investing adage that goes “Your portfolio is like a bar of soap, the more you handle it, the smaller it gets”. This gets at a key point for younger investors, especially those concerned with low-cost investing. When you start investing starting with less capital, it is imperative to keep trading and investing costs to a minimum. There are many such examples. Some online brokers, for example, will charge $15 for a trade that would be free at another brokerage. If you’re making a $10,000 purchase, not a big deal. If you’re buying $300 of a stock, that $15 commission is 5% of your money. Remembering that the stock market on average returns 8% per year, you’re giving up many months of average gains simply to buy your stock. The same applies to mutual funds that charge huge commissions called loads to buy them. In index investing, the figure to watch is the expense ratio. This is the portion of your money that will be taken out by the ETF manager each year. You never see this charge, but it slowly seeps out of the Net Asset Value “NAV” of your index fund with every passing month. On average, a major U.S. stock fund shouldn’t cost more than about 0.25% per year to hold. For more niche products, such as foreign country ETFs or bond ETFs, fees can run as high as 0.6% per year and still be a reasonable choice. But try to avoid funds that charge more. Basically, before you start investing your money on a budget, look into the cost of where you’re investing it. Some platforms even offer free trades. This is a great deal for anyone looking at lost-cost investing. It’s fun to take a shot on a high-risk stock. And, with proper research, it can be worthwhile. With more risk often comes more reward. That said, speculate with care, and never lose sight of your bigger investing goals. For every one story you hear of someone getting rich with Bitcoin, marijuana stocks or whatever else is hot at the moment, a ton of people have lost small fortunes — or even their life savings. The house tends to win with these sorts of financial opportunities and the risk of fraud and pump and dump schemes tends to be high. People that come to the stock market with hopes of getting rich in a hurry are unlikely to get rich at all. 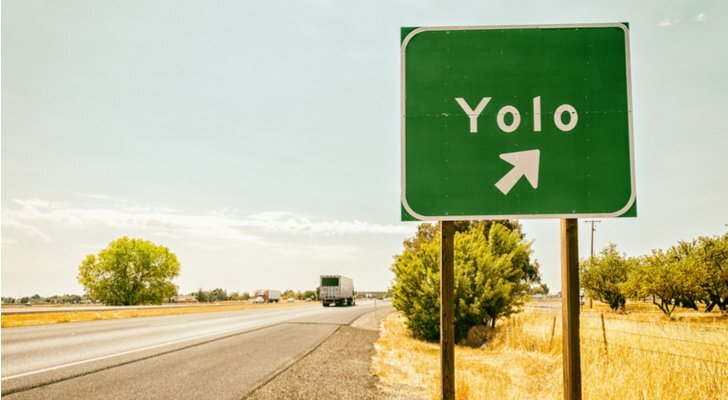 For that reason, if you are going to speculate on riskier ventures, it’s wise to separate those funds from your more conservative investments that your retirement plan will rely upon. If those speculative ventures deliver huge returns, all the better. And if they don’t pan out, your downside is capped, and your retirement investment plan will still be on track. The stock market keeps making new all-time highs seemingly almost every month. For many investors, this is a bad thing. It sounds crazy, right? But let me explain. There are a couple of reasons why steadily rising stock prices can be detrimental to our long-term investment health. For one, it simply means that prices are higher. If we are buying stocks with the intention of investing in the growth of the American economy over the next couple of decades, the cheaper we can get in, the better. Buying the S&P 500 Index (NYSEARCA:SPY) at 1,000 a decade ago clearly offers higher total return potential than at almost 3,000 today. If you’re going to hold for a long time, there’s nothing great about a higher price today. However, many folks leap from that fact to a downright dangerous conclusion: I won’t invest until prices go back down. There are so many people sitting on the sidelines, waiting for the next crash to buy in “on the cheap.” But here’s a thought: The stock market could fall 35% tomorrow and still be above where it was trading in early 2016. And there’s no guarantee it will fall that far next time. The definition of a bear market is a mere 20% decline. A 20% decline now would put stocks back to where they were in mid-2017. That’s no big deal in the grand scheme of things. Sitting on the sidelines causes investors to miss the magic of dividends and compounding for a relatively modest chance at getting a better entry price. In general, consistently buying stocks with a portion of your income each month or year will lead to a safer and steadier retirement plan. The value of your account will rise and fall with time, but unless America loses its economic vigor, there will be more rises than falls over the years. At the time of this writing, Ian Bezek had no positions in the aforementioned securities, though he is heavily invested in the stock market. Article printed from InvestorPlace Media, https://investorplace.com/2018/09/low-cost-investing-7-tips-to-start-investing-on-a-tight-budget/.